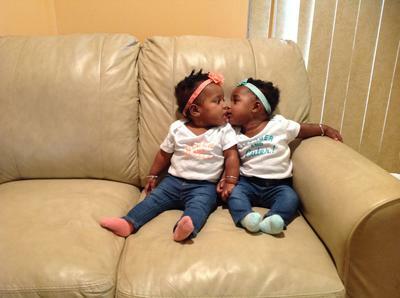 TwoCute™ Twins Photo Contest – April 2015 Winner! 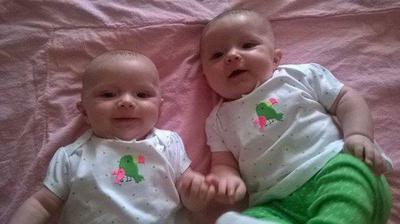 This is Rhylee and Rhianna, our 6 month old twin girls. They just love each other. 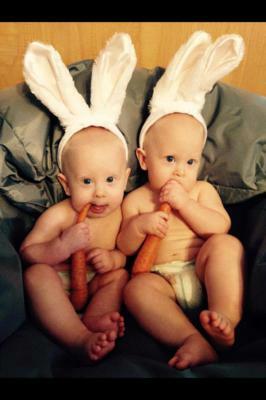 We dressed them up in onesies that say "older and wiser" and "younger and cuter."